Radiation… Toxic Waste and players hand. These will be the ingredients chosen to make little tiny pets.. But Soulas has failed and accidentally added mutating shell to the mix.. The deadlest serum ever has been made! – Has 160 Health and will deal 6 damage per hit. 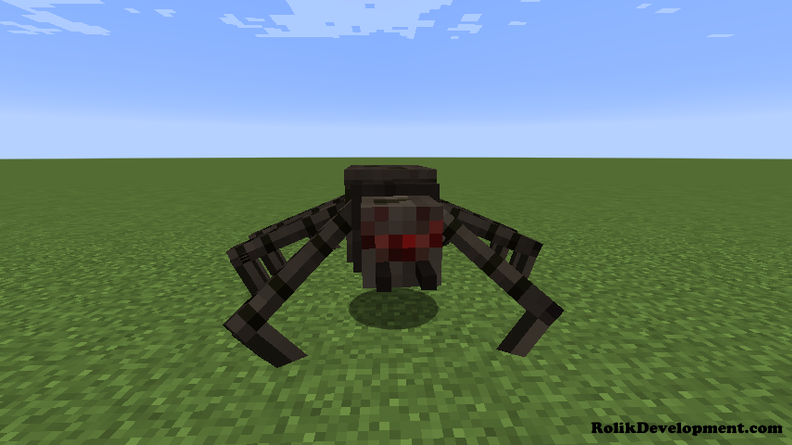 – Has same properties as vanilla Minecraft spider. 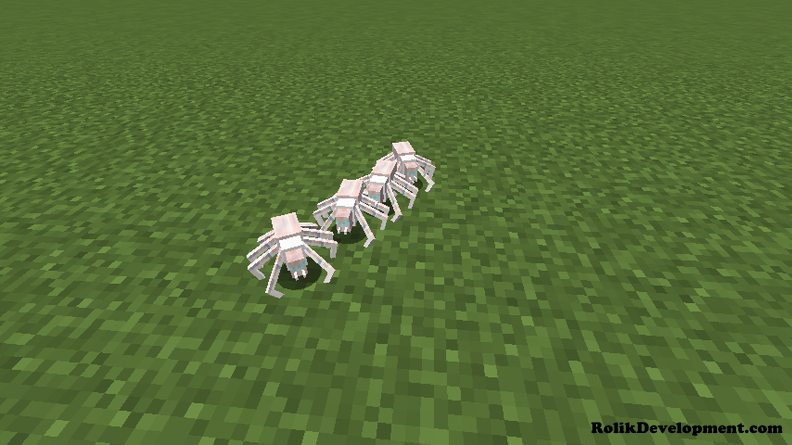 – Will randomly leap around his opponents and every 500-700 ticks spawn baby spiders to it in battle. – Heals 3 hp every 400 ticks during the night. – Doesn’t take any fall damage and even has a spider jockey variation. – Will drop same spider loot as normal spider. – On death will spawn horde of babies. – Has 1% chance to spawn in biomes like forest, desert, plains and so on..
– Has 140 Health and will deal 4 damage per hit. 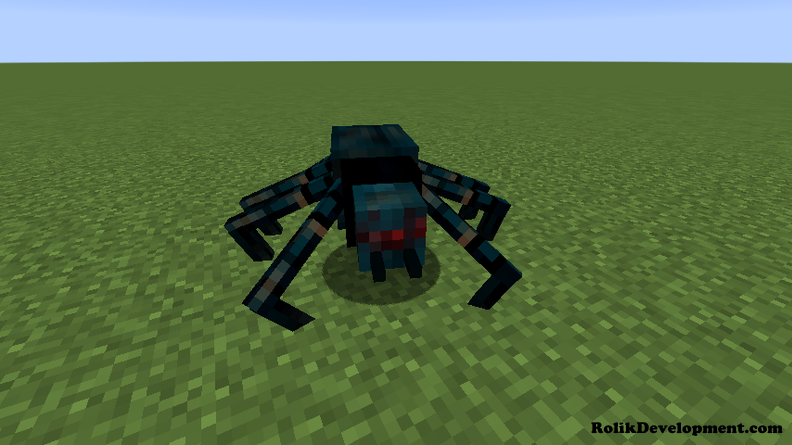 – Has same properties as vanilla Minecraft cave spider. – Will leap around randomly when fightning and spit poison around it’s enemies. – Venom armor will increase his size by 2x and echance his stats by 20%. – Is immune to fall damage. – When health is below 50% will active it’s venom armor and will start leaping and spitting poison even more. – On death will spit 10x times more poison if enemy will be near him. – Has 200 health and deals 10 damage per hit. 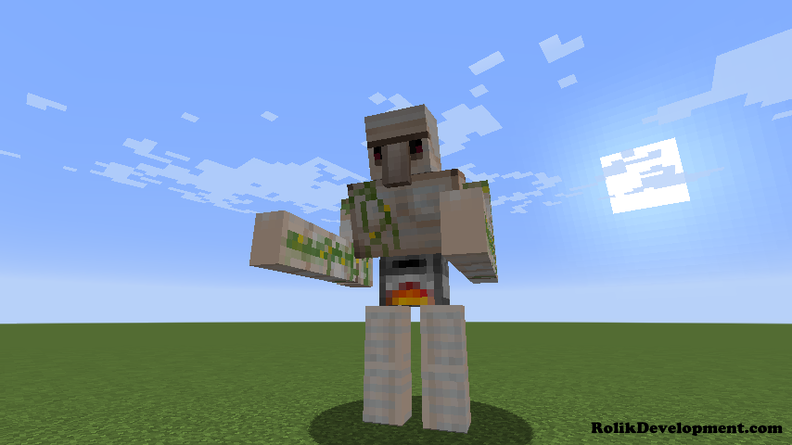 – Has same properties as zombie pigman that means he is neutral and immune to fire by default. 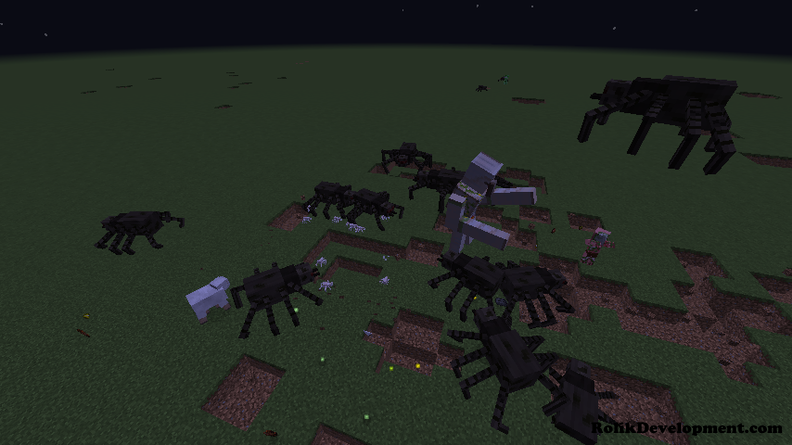 – Will jump around when fightning and every 400-600 ticks spawn pigman to aid him in battle. – Has passive buff called iron skin that will allow him to absorb 50% of taken damage and will take only 1 damage from anything else, for example arrows, snowballs, fall damage, magic and even more. – Is immune to fall damage and knockback as well. – Will regenarate 3 health every 200 ticks. – When health is below 50% will active enrage mode, that will drastically increase his speed. – On death will summon horde of pigman to finish his enemy. – Has 1% chance to spawn in the nether..
– Has 1000 health and deals 21-40 damage per hit to single target and 11-20 to mobs around his target. – Is number 1 mutant in the mod, can easily defeat hordes of wither bosses and mutant pigman combined. – Has AOE ability that will allow him to attack multiple mobs at once. – Has furnace powering him, that means when ever he fights his furnace will light up. 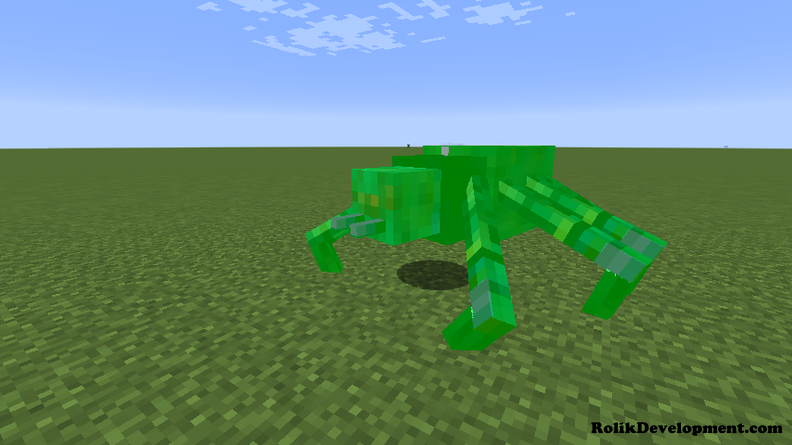 – Has same properties as Iron Golem, though will fight creepers as well. – Can’t spawn or can’t be made in survival yet(suggest your ideas down below). In the future even more mutants will be added, so be sure to suggest your own ideas in the comments down below! And yes you can use this mod in mod packs , though don’t forget to leave a credit.